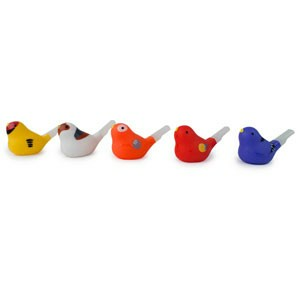 These bath toys need water to make sweet birdie sounds and bubbles. Approximate Dimensions: 3"x2"x2". Sold by the piece, color based on availability.